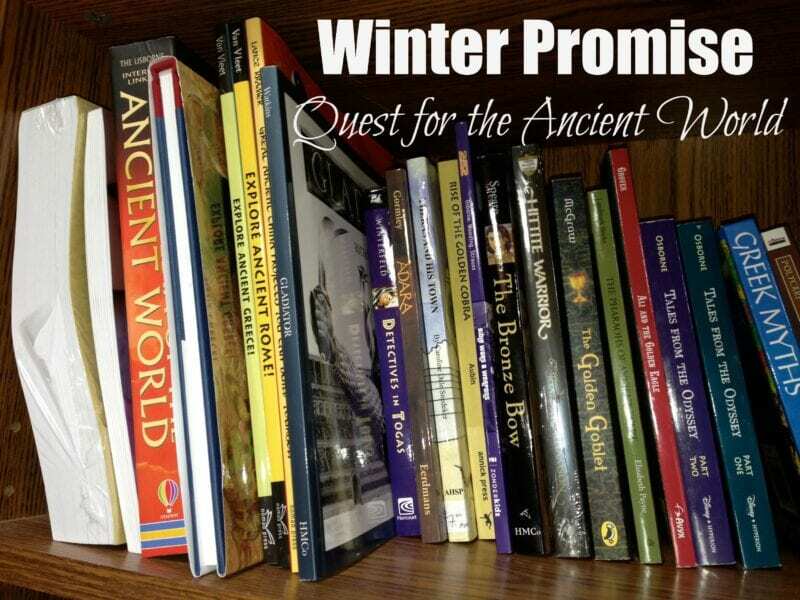 I hope to be able to share about our year with Winter Promise, Quest for the Ancient World, more on my blog this year! 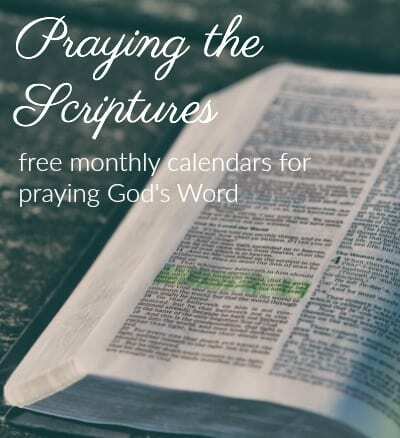 We have finished weeks 1 and 2 and here are some of the highlights!! This first picture shows my teacher page for the first week assignments. 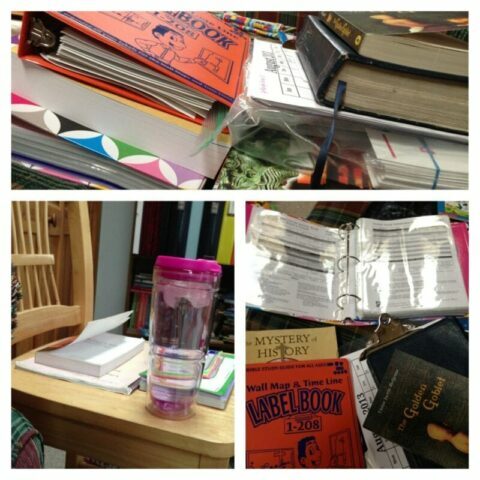 I have printed all of my teacher guide and put them in plastic sheet protectors in a binder. 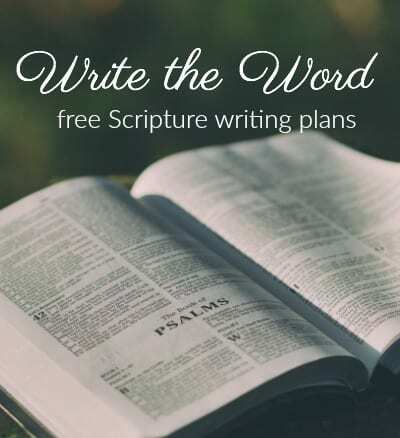 I love that I have everything I need here – it tells me what to read each day in each book and any projects or links I need. 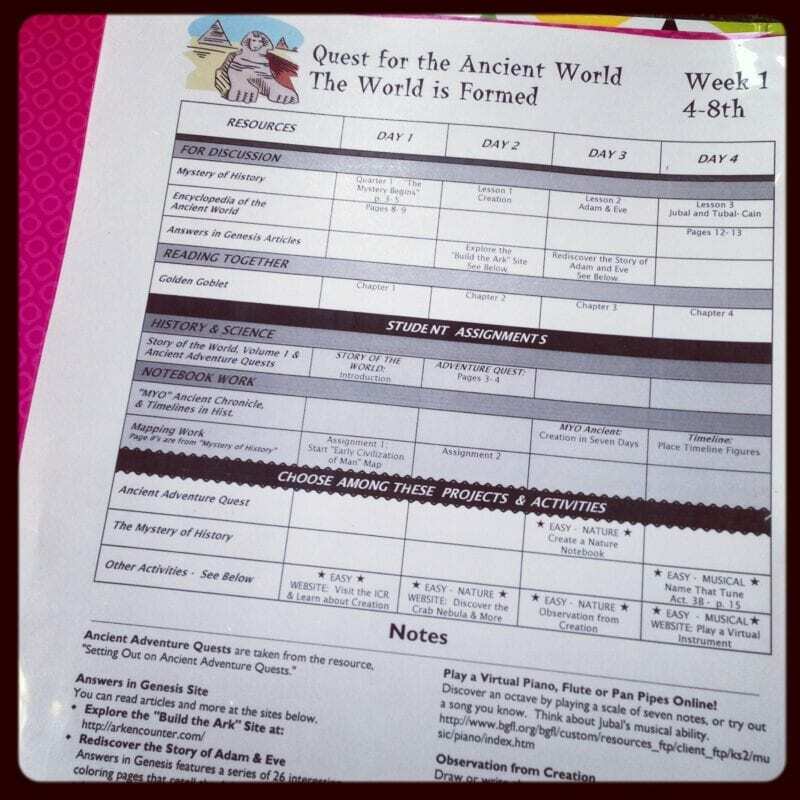 The girls have sheets per week that give them their language arts assignments, independent reading assignments and everything they need to do for history. I love that Winter Promise incorporates The Mystery of History Volume I: Creation to the Resurrection AND The Story of the World . We are reading Mystery of History aloud each morning and the Story of the World is in the girls independent reading assignments with usually 1-3 chapters per week. I think what I love most about MOH are the little activities that accompany each chapter – like the play dough creations you will see below. 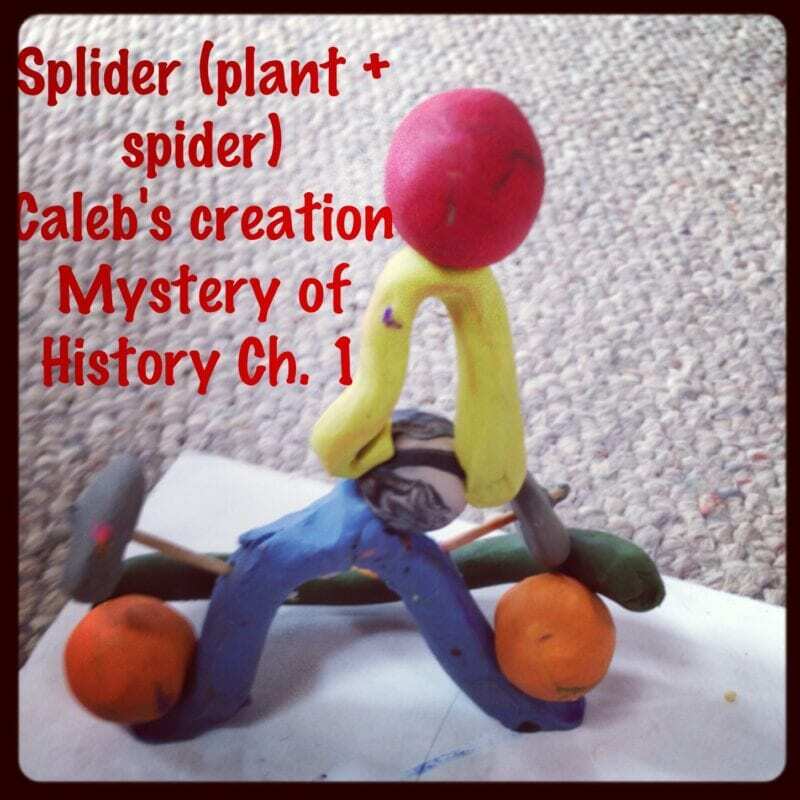 For our first week, Mystery of History and our Bible reading covered creation. 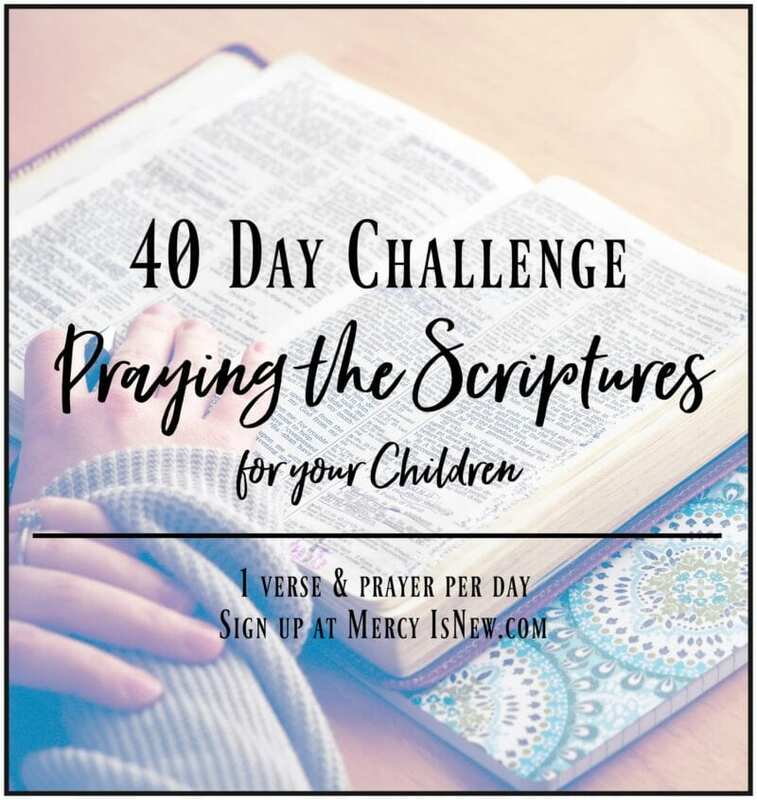 (The girls read the Bible portion in their independent reading time.) 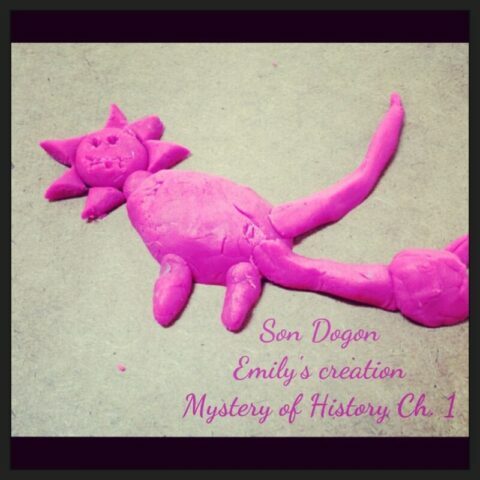 While I was reading aloud, I had the kids work on a creation project out of play dough that was in the MOH book. Our first week I also shared this picture of the pile of books beside me on the couch. 🙂 It kind of drives me crazy but I haven’t figured out a way around it at this point! We just have a lot to get through these days! Our week 2 was broken up a bit by our trip to Florida, but we discussed the Ice Age and Dinosaurs! We are also really enjoying the read aloud that goes along with this time period, as recommended by Winter promise,The Golden Goblet . So far we are really enjoying our ancient history!! I can tell this is going to be a great year!